I am so excited to share the FitNation Flex Core 8 with everyone that I know as this little piece of equipment helps me to work on toning and tightening my body in half the time. I spend about 30 minutes a day, 5 days a week, using the Flex Core 8, doing various exercises that are working great for me. I am also doing some bike riding, walking and swimming throughout the week and all together I am more active and living healthier than ever which is a great thing. I am really loving the Flex Core 8 as I am over 40 and can easily over do it when trying to get into shape and the Flex Core 9 allows me to tone and exercise my muscles with traditional exercises such as sit ups and push ups… without the excess strain on my stomach muscles which can cause me injuries and ultimately deter me from working out. 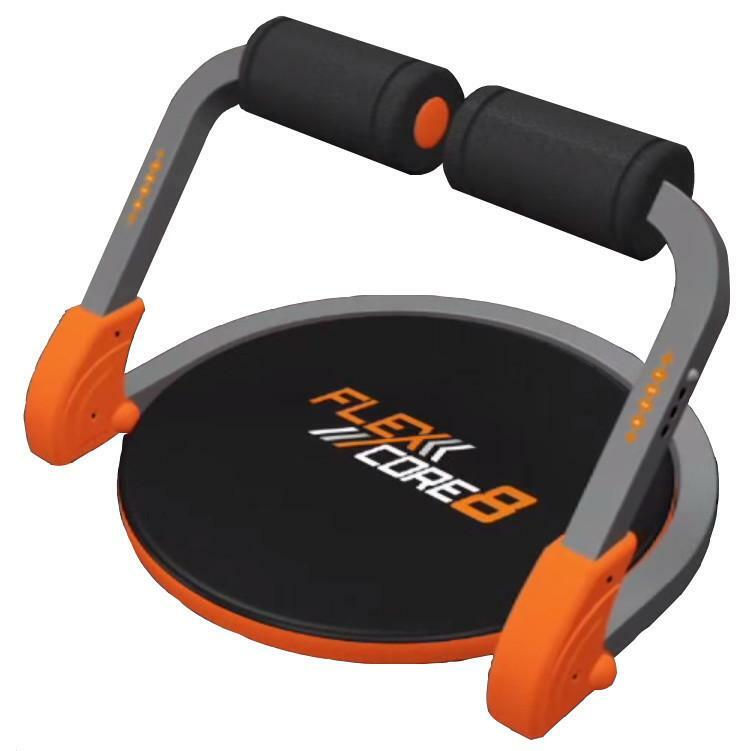 The Flex Core 8 gives me a good work out when doing sit ups and push ups and I really enjoy it! The unit assists me when coming back up from my sit up or push up just a bit…but not too much that I am still not strengthening my core muscles as I am still using my core muscles which is the goal. I ultimately want to strengthen my core stomach muscles enough so that I can begin completing reps of traditional sit ups without injury. The FitNation Flex Core is priced beautifully and there are endless amounts of workouts that can be done with this unit that will give you an all over workout for your body. The Flex Core 8 comes with a fabulous DVD that is loaded with workouts and various workout positions that you may not have thought of before and I have many that I am going to try to change my routine up a bit. I am also making room to have space for the Flex Core 8 to be below me at my work desk as I can literally pedal like I am cycling while sitting and working at my desk. I love it and it is a great way to get a nice workout. *Comes with a fat burning/muscle sculpting excercise DVD loaded with exercises for you to try and use. So what do you think? Check out this video that gives you an idea of how the Flex Core 8 works and other types of exercises that you can perform…. I will be back to update pictures as we took a few “before” pictures so that we can compare in 4 to 6 weeks…. so I will be back to show some results! Until then check out Viatek and their assortment of fabulous products that help you to live your life healthier and happier. Visit them on Social Media as well. This is such a cool piece of exercise equipment. I love how versatile it is! I also like that it is easy to store and doesn’t take up much space. Hello, its look like very effective, I would like to buy it for my fitness. This sounds like an awesome piece of exercise equipment to have at home! I would definitely want to try it! I love how easy it would be to store too! Thank you so much for sharing! I’m a fitness instructor / busy mom that doesn’t always have time to get to the gym for my own workouts. I have a home gym, and would love to add the fitnation flex core to it. I love that it is so compact and I can do so many exercises on it.